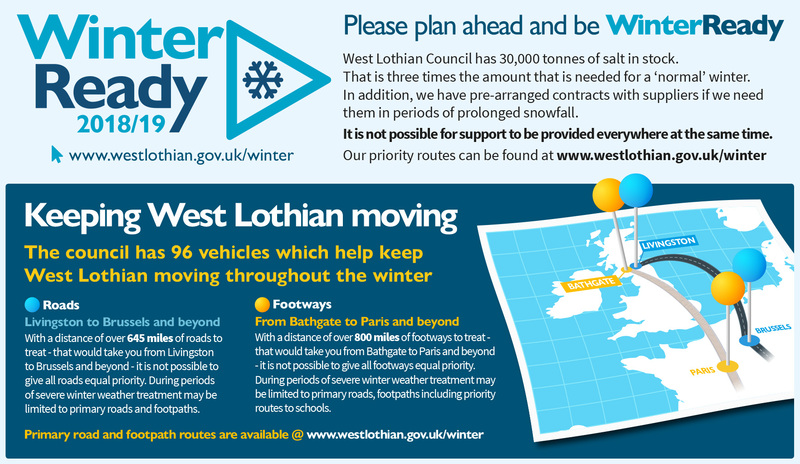 The Council's Winter Service Policy has classified specific roads and footpaths within West Lothian as either a Primary or Secondary gritting route, not all roads and footpaths are gritted. We cannot treat every road or footpath, we just don't have the resources, so we must prioritise those that have been agreed with elected members. Should you have any enquiries relating to Gritting Routes or Winter Maintenance. Please use our online form.